– A Phillips head screwdriver (magnetic tipped will make your life easier). – Windex & a cloth (if your BHF is dirty). – About 5-10 minutes of time start to finish (dependent on your screwdriving skills). 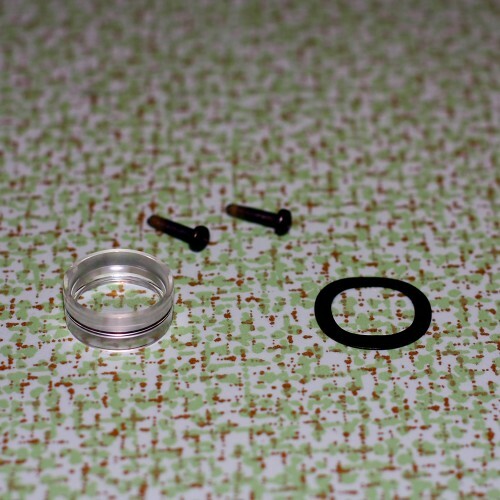 Keep track of the small parts: Lens, screws, & spring-washer. – Take the back off the BHF and set aside. – Look inside film-gate. See those two screws on each side of the lens? Unscrew those. – Carefully lift the film-gate from the front of the camera to reveal the lens. – If the lens has sixty-some-odd years worth of dirt, dust & grime, now would be a good time to give it a gentle cleaning with the a cloth and dab of Windex. 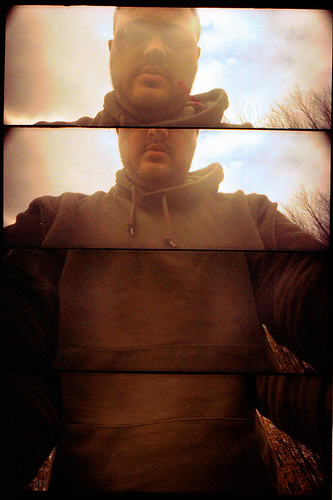 – Now flip the lens, so that the convex side is facing the front of the camera (‘dish’ side up). Make sure you put the spring-washer back underneath the lens. – Place the screws back in the film-gate holes, then carefully lower the film-gate back onto the lens assembly. 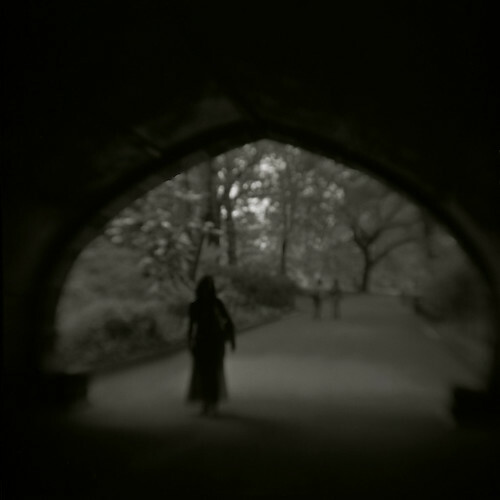 – Look down into the film-gate, is the lens visibly centered in the gate? If not, it’s probably on backwards; rotate the gate the other way. – Screw everything back together. – Voila!!! You now have a flipped lens Brownie Hawkeye Flash (fBHF). – Load it up with some film* & go make some magic!!! 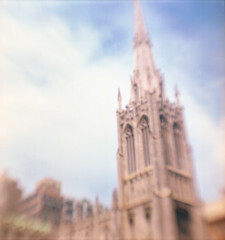 NYC Church, fBHF on Kodak Ektar 100. 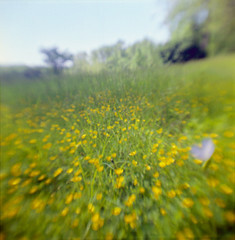 Onondaga Lake Park meadow, fBHF on Kodak Ektar 100. Trees, fBHF on Rollei Retro 400, developed in Diafine. 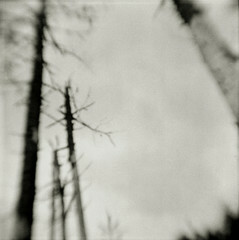 More of my fBHF images. *I should probably note that the BHF was meant to take 620 film, which has a thinner metal spool than modern 120 film. The good news is that most 120 spools seem to fit on the supply-side; the bad news is that you definitely need to use a 620 spool on the up-take. While Kodak discontinued 620 in 1995, there are still plenty of spools out there, you just have to look. The very places you’d find a BHF are usually the same you’ll find 620 spindles: thrift stores, flea markets, garage sales & eBay. 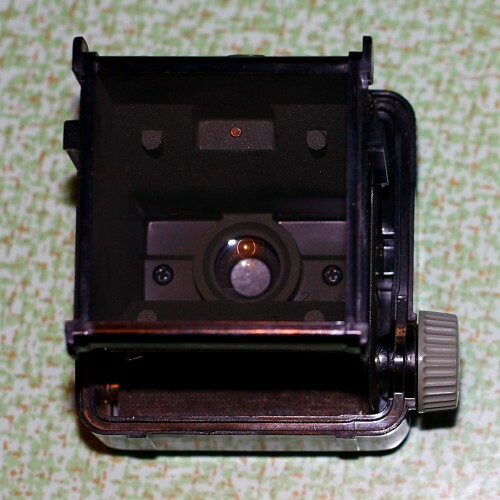 Look inside other old cameras or through piles of photographic detritus; put a word in with your local Mom & Pop photo store (if they’re still in business); or put a note up on Craigslist or Freecycle. It’s proved to be very useful, and the starting gun for my Summer 2010 project with a flipped BHF. Oh yeah, that’s cool! I’ve always stuck my nose up at BHFs when I see them in the store, because they’re so simplistic without any apparent magic. Now I see the magic! 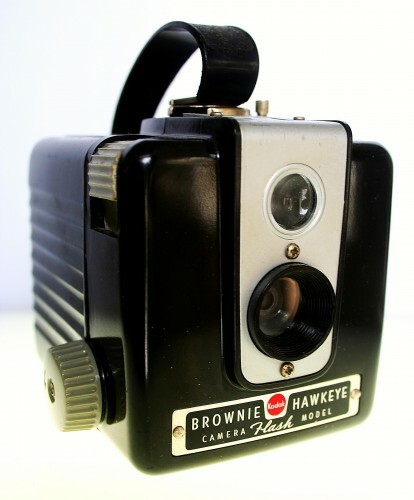 I had hoped to dig out a box camera of similar caliber from my collection of unsellable vintage crap-ameras, but unfortunately nothing fits the bill. I must have this look! So I might have to (shudder) invest in a BHF. Thanks for the info. Initially sorry my english (google translator). 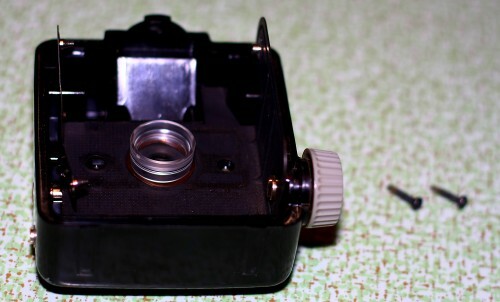 Someone could tell me if this procedure is also possible in another model Kodak? 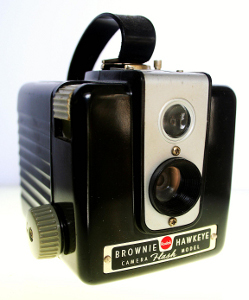 More specifically a Kodak Brownie Six-20 – Model D.
You can do the same in this model?